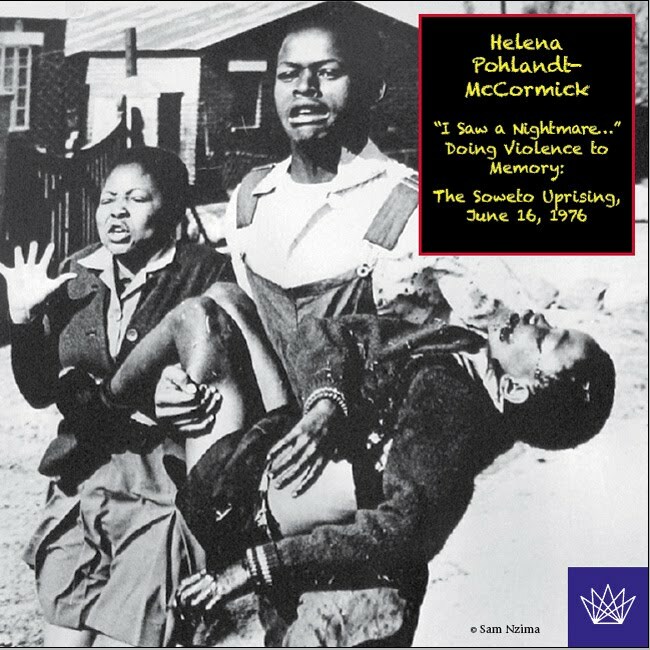 I Saw a Nightmare...: Doing Violence to Memory: The Soweto Uprising, June 16, 1976. The Soweto uprising was both a tragic and heroic event in the history of South Africa. Tragic, because of the violence associated with it; heroic, because of the way it grew out of the oppression of the past and marked a decisive step towards a democratic future. This electronic book has two identities. On the one hand it provides a comprehensive, though by no means complete, account of the uprising. On the other, it is an attempt to come to terms with the interrelationship between violence and memory in South Africa. This born-digital work is envisioned as two buildings, interconnected, perhaps even standing under the same roof. The buildings have many floors, large and small rooms, alcoves, basements and common rooms. They are interconnected by a series of passageways, staircases, larger and smaller doors. Thus, this book does not offer merely another alternative interpretation of the story of Soweto, no single narrative of the past or single interpretation, but rather the multiple stories that were told and the contested meanings that were attributed to the events of Soweto. It seeks to describe and establish relationships among these multiple narratives as well as the processes of societal and individual remembering and forgetting, looking at the many levels, layers, spaces, and times in which they took place. The electronic medium, with its ability to create multiple linkages at many levels and to surpass the simple linearity of a book, attempts to replicate the many layers of meaning associated with the uprising. Some of them have changed through time, some complement each other, others conflict. This e-book provides extensive supplementary materials, accessible via pop-up windows (including thousands of photographs, with the option of browsing for these by keyword or type); official documents; essays; and interviews. It takes advantage of extensive interactive cross-referencing within the text to promote non-linear navigation, including red thread sections showing a list of all related sections throughout the e-book. It also provides a wealth of related historical documents in the form of PDFs, and a glossary. 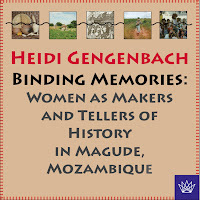 Binding Memories: Women as Makers and Tellers of History in Magude, Mozambique. New York: Columbia University Press, 2006. HEB 2010. 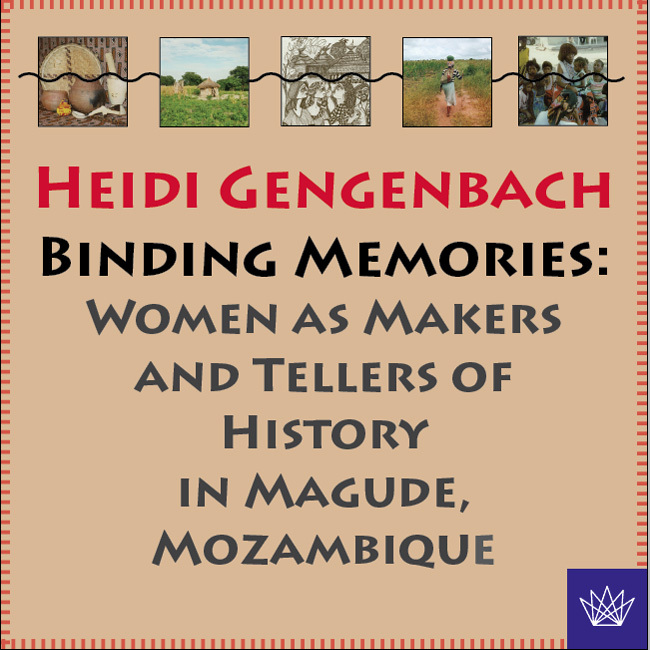 Building on the insights of feminist scholars who had used personal narratives to explore womens constructions of the past, this book argues that during the last two centuries women in the rural communities of southern Mozambique had not suffered as silent, helpless, or, at best, coping victims of Gaza Nguni conquest, Portuguese colonialism, South African mining capital, and patriarchal clan rule. How did women experience and explain the sometimes colliding, sometimes colluding forces of ostensibly masculine power that had transformed the region, so often destructively, since the early nineteenth century? Were imperialism and capitalism, guns and gold, tradition and patriarchy really as omnipotent in determining the exterior and interior landscapes of womens lives as scholars had claimed? Would the dynamics of precolonial or colonial political power, proletarianization, mission Christianity, agriculture, or African marriage and family look the same if one examines them from the point of view of rural women? Do some people remember differently—not in the sense that the details of their memories differ, but in terms of the tools of their memory, the forms their remembering takes? What, for instance, if some people choose not to put experience solely into story, or not to articulate their memories through language at all? The work of remembering, like the work of history, involves sorting through and making sense of the jumble of what happened. We take what we know, we arrange it, we come up with an explanation, and we store that explanation somehow—because we created it for a purpose, and for an audience of some kind. After all, we do the work of remembering in company, as members of a community, never in a social vacuum and never entirely on our own. But who is to say that these explanations, these records of interpreted experience, must be organized and presented as narrative, in discourse rather than some other form? Is narrative our only medium of access to the past, the only meaningful shape remembrance—or history—can assume? How does a Western academic historian present in writing historical knowledge that comes in the shape of a clay pot or a line in the soil and that obeys imperatives different from her own? While sections of this book on womens life-storytelling do rely on existing Africanist scholarship for models of historical narrative, none of these models perfectly fit the culture of female storytelling. Collectively they raise a crucial question: To what extent can or should academic historians subordinate their subjects conventions of historical narrative to the formal conventions of their discipline? Includes image maps to facilitate non-linear navigation, audio clip interviews, and a Flash animated map. Dozens of supplementary materials are accessible via pop-up windows, including the author’s field notes, interview transcriptions, and newspaper clippings. Includes a glossary and over 500 color and black and white images.